How would you call a kind of soundtrack for a permanent exhibition of one of the most prominent European museums dedicated to the First World War? Site-specific music? Or maybe “soundscape" music, like we’re getting used to read around? Probably these could stand for good definitions, among many others. But then you can buy the CD, and not only while making a tour at the above mentioned museum and stopping at the bookshop but also visiting your favorite record store or adding this item to your cart while shopping online. In this way you could realize how this music is not only site-specific and “soundscape”. 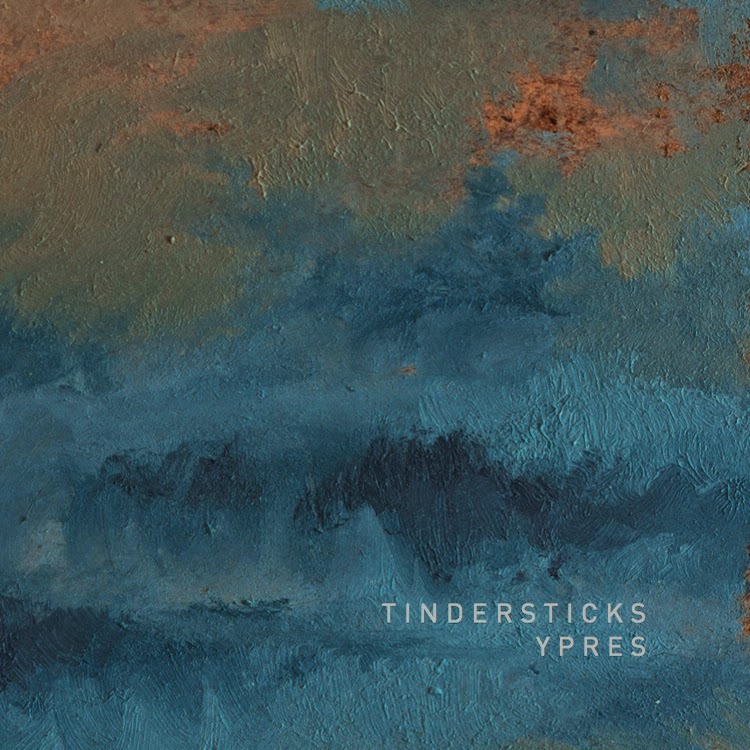 More or less this is part of the story of “Ypres”, the project and challenge that the Tindersticks, the British pop band headed by Stuart A. Staples, accepted four years ago, after being commissioned by the Belgian museum to provide the music of the their new permanent exhibition during the centenary years. This choice is a kind of clear statement of the contamination of a “movie logic” with the more traditional layout routines of historic museums. While waiting to visit and report about this World War I museum of Flanders (hopefully in the next months) and its renewed permanent exhibition, we can give a short account about the Tindersticks' soundtrack. Probably it’s something uncommon, usually it’s the other way round. In the booklet we read that “a deep connection and inspiration for the work was found in the quiet, dignified German memorial garden of Vladslo and Kathe Kollwitz’ famous ‘Grieving parents’ statue that resides there”. We can breathe this music as “the sound of the air within the museum” housed in the medieval building in the centre of the Belgian city. The orchestra work that you listen in this CD is the same that loops endlessly everyday inside the In Flanders Fields Museum. “Ypres” was written by Stuart A. Staples together with the bassist of Tindersticks Dan McKinna and recorded in April 2012 in London by an orchestra led by Lucy Wilkins and featuring several violins, cellos, violas, double basses and trombones. In "The Indipendent" Adrian Mourby wrote that the music “by Stuart Staples of Tindersticks creates an atmosphere of abiding sadness but the experience is highly personalized”. We cannot but agree on the music, while waiting to listen on site again to this work in the unique synesthesia that a music ("without a beginning, middle or end”, like the booklet's note states) and places always create.